Every year the weather seems to get more severe in the United States and probably the rest of the world. This year in Connecticut where I live we have had multiple tornados one of which was nothing like we have ever experienced before. A majority of the state was without power for days. Tornados are not common in Connecticut. There have also been violent storms rain storms that I refer to as mini monsoons. These mini monsoons also often cause extended power outages. While the power outages are very inconvenient they typically happen in warmer weather so getting by is not a big deal other than running my generator to keep the fridge and a few lights on. A note on appliances, some low end gas stoves and gas hot water heaters operate on what’s referred to as a “Standing Pilot” This means there’s always a tiny flame burning which in turn lights the burners as needed. These appliances are great during a power outage because they require no electricity. Some newer stoves have an electronic ignition that creates a spark like a gas grill ignitor. These stoves can often be lit with a match. Ovens with electronic ignition light differently than their tops so the oven will be unusable. Remember also NEVER USE YOUR STOVE AS A HEAT SOURCE FOR WARMTH. Cooking only! There’s a lot of assumptions made when planning for any type of weather event or natural disaster. One of these assumptions is that you will be home to deal with the crisis when it hits, but what happens is the roads are closed and impassable? What if your vehicle becomes disabled? What if you need to tend to someone elderly with critical life needs etc? I like to work with a neighbor I care about and trust. They need to know how to prepare and protect your home and you need to be willing to do the same. You each should create a step by step manual for exactly what steps are needed for your home’s survival. Every item from your generator to your pets. It’s also important to walk through it with your neighbors. In fortunate in that I have great neighbors on all sides and the neighbors across the street are like family. We already look out for each other. Like I said above warm weather power outages are generally more of an inconvenience than anything else, cold weather power outages on the other hand are an entirely different story all together. If the temperature is cold enough your life and personal property become a serious risk. 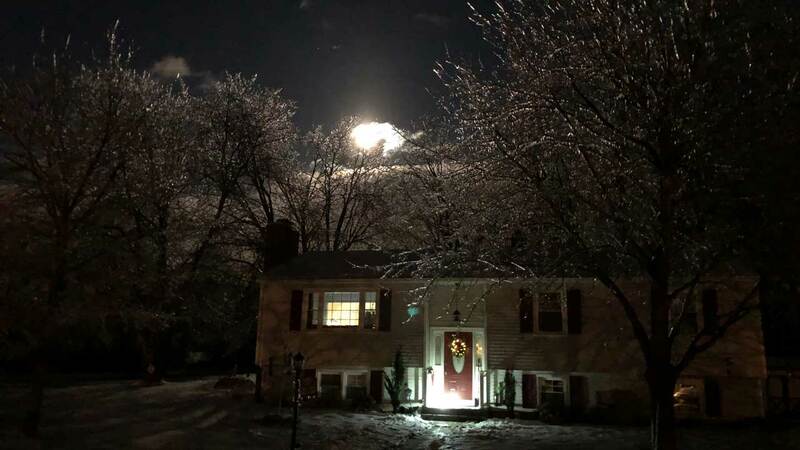 I have decided to sit down and write this post after an ice storm followed by a sudden temperature drop of -6 low to a 6 degree high left a lot of Connecticut residents without power for anywhere from a couple hours to three days. I was personally without power for 36 hours. What I did may not work for everyone but I think there’s a lot of useful and budget friendly advice. You may not agree with everything and that’s of course perfectly fine and if you have your own advice or tips feel free to comment at the bottom of this page. At the bottom of this post I will include product posts and pictures of the items I use. Most everything I purchased from Amazon via Amazon prime. In general terms I have taken steps to make sure my home is as sealed as possible all year long and I like to make sure my home is prepared for the winter long before the most serious weather arrives. Doing this also saves on my utility bills all year. Insulated Attic: My attic is insulated with loose fill insulation between the rafters and has fiberglass insulation going across the rafters making my attic very well insulated. However activities from tasks such as running cable tv, additional lighting and ethernet cables have created new holes in the attic and have disrupted the insulation. It’s important to make sure everything is insulated completely. Recessed Lighting: When we first moved in to this house I walked around with a inexpensive Infrared Digital Thermometer aka temperature gun and I noticed the recessed lighting fixtures we allowing attic air into my house. It was hot air in the summer and cold air in the winter. Last year I replaced the bulbs and trim rings with Feit LED Retrofit Kits. 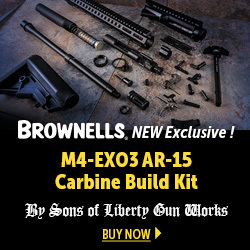 These kits aren’t meant to be insulating but they do a darn good job. Doors and Windows: My windows are relatively new and I keep them locked so they are tightly sealed. Don’t forget your garage door it can be a massive cold air entry point into your home. Exterior Pipes: I shut off and drain my garden hose spigots but I also put Insulating Covers over them. I don’t what that cold pipe conducting cold to the pipes in the wall. Your home may have additional pipes for your well or city water. Insulate them if possible. Gas lines are another potential source. Fireplace: Fireplaces are tricky, they can be a massive source of heat loss and a source of cold air coming in that is as bad as an open window. When I lived in New Haven I sealed my fireplace permanently with a sheet of foil faced foam insulation board. In my current home I cover my fireplace with a sheet of cardboard when the temperature reaches the 20’s and below. I don’t cover it all winter because I have this awesome fake fire that we use nightly. Vents: My dryer vent is a problematic area where cold air enters my home. The magnet is weak and the lint can prevent the flap from closing completely. It’s easy to tell when the dryer vent isn’t closed tightly the dryer and clothes inside will be cold. My whirlpool tub has a vent over it that goes outside near the dryer vent. It’s also another source of cold air entering my home. I seal it up all winter as I rarely use the whirlpool tub in the winter. I also cover my stove and bathroom exhaust vents too. Oil Filler Pipe: My oil filler pipe was another cold air entry point. I little caulk took care of that. I plan on insulating the pipe inside the house because that’s a lot of cold steel sitting under the stairs of my living space and in the garage. Electrical Outlets and Switches: I do not have exterior outlets yet but they can be a serious cold air entry point into your walls that can contribute to frozen pipes and heat loss. Interior outlets and switches can also be insulated with gaskets or insulating covers. Every little bit helps. Homes may have other sources that allow cold air in or hot air to escape. You know your own home better than anyone. I suggest getting the infrared thermometer above and start exploring the interior and exterior of your home for areas with drastic temperature changes. First thing I do when I learn of a potential severe winter storm is I head to the place in the basement where I store all my emergency supplies and perform an inventory check. Of course I restock as needed. My list in the next section pretty much covers most of the common sense items and details but I take a few extra preparation steps that I will outline here. Laundry: I do all my laundry a day or two before the storm so I know I have enough clean clothes to get me through until power is restored. Prepare The Generator: I bring the generator and a bottle of propane into the garage so they warm up and the generator starts easier. I also make sure the battery is charged. I get my tools and extension cord ready to wire the generator to my boiler. Shower: I like to shower before the storm hits because who knows when I will shower again. Turn Up The Heat: We typically keep our home at 67 degrees but about 6 hours before the weather gets bad I will bring my house up to 74 degrees. This gives time for the house and everything in it to get up to temperature. This buys me more time when the power goes out. Open Doors and Cabinets: Along with raising the temperature of the house I want to make sure there are no cold spots so I open up the guest room, closets and storage cabinets. I want EVERYTHING warm. Below are steps I like to take and supplies I keep on hand all year but obviously these things are more critical when it’s cold. Battery Powered Carbon Monoxide Detector: While I have battery powered Nest combination smoke and carbon monoxide detectors in my home I like the peace of mind a portable battery powered CO2 detector brings. I keep wherever we are and more importantly on our nightstand when we sleep. I use the $23 Kidde 21008873 Battery Operated Digital Display KN-Copp-B-LPM Carbon Monoxide Alarm. Dual Fuel Generator: A dual fuel generator can be operated off of gasoline or liquid propane. I have a 7000 watt Champion Dual Fuel Generator and prefer to run it off propane. The reason is modern gasoline has a very short shelf life and if left in a generator for a few months the gas can become stale and clog or corrode the fuel system. The reason for this is due to the ethanol in the gas. Over time the ethanol separates from the gasoline. Ethanol also attracts moisture. The ethanol combined with moisture is what damages the engine and fuel system. There is NO FUEL STABILIZER THAT CAN PREVENT THIS. If gasoline must be used find a source of unleaded that doesn’t contain ethanol. Some speed shops and Marinas can be sources. Amazon and Power Equipment stores also sell gas in quart, gallon and 5 gallon sizes. Trufuel 4 Cycle is the most common brand. It’s very expensive to buy it this way. I use that fuel in my yard equipment towards the end of the season. If you run pump gas in your generator buy the highest octane the station offers and when the generator is almost out of fuel poor your store bought gas in the tank and run it for a few minutes. Then turn off the petcock and run the generator out of gas. If possible drain the bowl of the carburetor. The store bought fuel has a 3 year shelf life. This process will insure the generator starts when you need it too. Me I just use propane for trouble free operation but like the idea that I can use gasoline as a backup source. BTW if you doubt what I say put some gas in a mason jar, put a lid on it put not so tight the jar cant breath and watch what happens over the course of a few months. Vehicles: I like to keep the vehicle gas tanks full. When power is out and roads are impassable it might be a few days before there’s access to a gas station. Vehicles can also be a last resort warm shelter if your home is damaged. Oil Tank: a generator isn’t going to keep you warm if your heat source has no fuel. It can be a week or more to get an oil delivery after a blizzard. Keep that tank full. 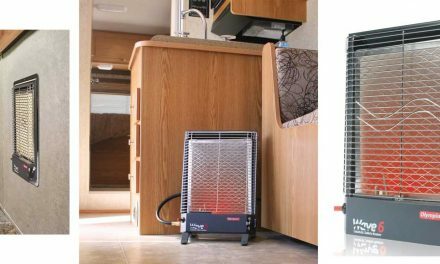 Batteries: I keep a lot of AA, AAA, 9 Volt and D batteries on hand for lighting and the blowers for my Mr Heater Big Buddy portable propane heaters. (12) 1 Pound Propane Bottles: They are great for my Coleman PowerPack Propane Stove (single burner), Coleman Propane Camp Stove and the all important Coleman QuikPot Propane Coffee Maker. 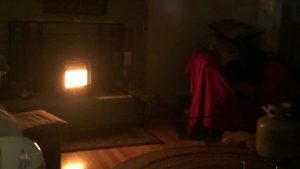 Candles and Ignition Sources: When I lived alone I had a bunch of long lasting survival candles for power outages. These days I live with a crazy candle lady and we have an unbelievable amount of candles from simple tea lights to Yankee Candle and Woodwick large jar candles. This means we also have our share of ways to light a fire. LED Light Strings: Inexpensive “AA Starry Fairy Micro Led Light Strings” can run for days on a couple AA batteries and are a great light source. we put a set in every room. I don’t buy the type that uses CR2032 batteries for emergency purposes. Power Failure Lights: Power failure lights are plugged into wall outlets and don’t turn on until the power goes out. They are great to keep you from breaking your neck if the power goes out while it’s dark. They are also a great portable light to aid in getting the rest of your lighting turned on. I have the Amertac Power Failure Lights. Propane: I have (4) 20 pound propane (2) 40 pound propane tanks. Standard gas grill/camper propane tanks use an “QCC1” style valve. Larger tanks use a different valve called a “POL” valve. There is a POL to QCC1 Adapter available. Gasoline: While I prefer liquid propane for the generator it doesn’t hurt to keep 5 or 10 gallons of gas on hand for a weather event. If it’s not needed I can simply put it in my Jeep Wrangler or Toyota 4Runner. It’s also fuel for the snowblower. Pocket and Body Warmers: Pocket and Body warmers are dirt cheap and they are an easy way to warm up cold body parts. My in laws were sticking them all over their bodies a couple years ago during an extended winter power outage. They can also be taped to things you might not want to freeze like water shutoff valves. I buy the Hot Hands brand. Uninterruptible Power Supply (UPS): I have mentioned elsewhere on this site I keep a couple CyberPower CP1500AVRLCD Intelligent LCD UPS Systems on hand. Their primary function is to shutdown my computers gracefully during a brief power outage but I also use them on my alarm system and home automation. However when the power goes out I use them instead to power lights, charge mobile phones and even can charge the battery on my generator. During some power outages in New Haven I would bring the UPS to work and charge it then bring it home at night. In my home now we can operate our LED equipped free standing lights for a couple evenings on a single charge. For the purposes of this page I’m going to write this from the perspective of a serious event like I recently experienced and not a simple couple hour event. I’m also writing it based on an event that started after dark at 6pm Sunday evening. Because I have prepared well I’m ready to move quick. If it’s dark out I start with getting the house lit up. The next thing I do is get my Mr Heater Big Buddy’s in place with two one pound bottles installed but not lit. The next steps are the difficult decisions. I have to decide how long I think I will be without power, how will the current weather conditions affect my home?, should I start my generator now?, can I start my generator now if I want to or is the weather preventing me from starting it? How long can I operate my heat sources and generator with my current supply of fuel? If you recall I wrote earlier that in advance of a storm I crank the heat up in my home and open every door so everything gets warm, 74 or so degrees, Now is where this pays off because I bought myself time. This is time where I don’t actually do anything. Not doing anything is saving me fuel and giving the utility company to make repairs. I don’t count on the latter. At -6 degrees below zero, after dark it takes about 6 hours for my home to go from 74 degrees to 70 degrees. That’s the benefit of a well sealed well insulated home. To condense this a bit, power went out at 6pm and I did nothing, 1am when my homes temperature reached 70 degrees I lit a Mr Heater Big Buddy and ran it on low which uses one of the two ceramic burners. I slept in the living room to keep an eye on things. We got up at 5am for work and the temperature was at 64 degrees. I then put the Big Buddy on “High” which lights the second ceramic panel. I ran like that until the two bottles one pound bottles emptied. Once the the two bottles emptied I attached a 20# gas grill style propane bottle. At 8am I realize the severity of the states power outage and decide it’s time for the generator. Because I do not have a transfer switch I have to manually wire the generator to the boiler. I do this by removing the supply from the circuit breaker, capping the wires and connecting my special cable to the boiler electrical feed. Once that’s connected I bring the generator outside and power it up. I run the boiler until the house is 68 degrees. It takes about an hour. Once the house is at temperature I unplug the boiler and let the refrigerator run for a bit. It doesn’t typically need to run long. Then I switch back to the boiler again. That too wont run much. Once the house is a temperature I shut off the generator and bring it back inside the garage. I also move a Mr Heater Big Buddy into the small room where the water supply enters the house. I do this to offset the cold air from opening the garage door. While it’s tempting to just keep the generator running it’s a massive waste of fuel because it will spend a large amount of time running for no reason. Instead I choose to only use it as needed. I bring it inside to protect it from the elements and make it easier to start. At this point I monitor the temperature of our living space and the room with the water supply as it gets colder before the upstairs. 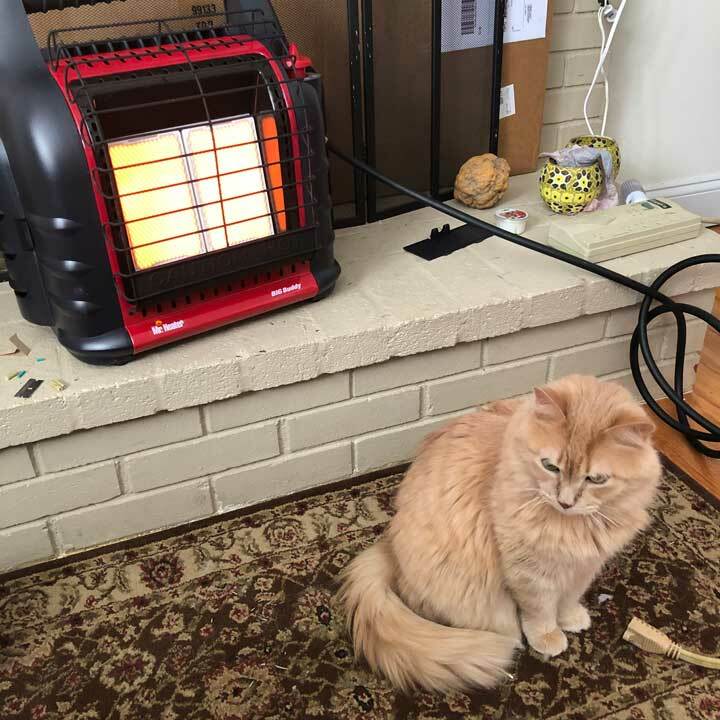 I also run a Mr Heater Big Buddy as needed to warm up a little if we get a chill. I think that’s mostly psychological though. I can continue this cycle for a while but I do need to also time things so I can leave to get more propane. Typically by day 2 the main parts of town are returning to normal it’s the rural areas like my neighborhood where the outages drag on. BTW it’s important to limit how often you open a door and let your heat out and cold air in. I make sure my trips are planned to yield the most results and that includes walking the dog. What If The Generator Stops? A generator is essential to surviving a cold weather power outage but it can also lead to an over reliance on it’s availability and a lack of preparation. First off unless your generator runs off natural gas provided be a utility company you do not have an unlimited supply of fuel. If your generator runs on propane you need to be able to refill bottles yourself or have the bottles and tanks filled by a local delivery company. Both of the latter require that roads are passable and the supplier has electricity to fill trucks and tanks with propane. Understand too, the people who work at those companies also need to be able to get to work to do their jobs. Below is a scenario that I recently witnessed with neighbors. My neighbors across the street told me that a blizzard we had a couple years ago left our town crippled for a week. After about 5 days a neighbor with a bucket loader cleared a path to the next road. After that experience they installed a standby generator. These neighbors have a Generac 10kw standby generator that runs off of a pretty big propane tank, I’m guessing 120 gallons (420 pounds) which is a lot of propane unless the tank isn’t full when the storm hits. Standby generators as part of a self maintenance routine automatically run for a period of time to keep the battery charged and the components lubricated. This consumes a bit of fuel throughout the course of a year. On top of that we see a lot of short duration power outages at which point the standby generator runs for anywhere from a few minutes to a couple hours. Obviously this consumes fuel. The reason I point this out is with last weekend’s power outage it was -6 degrees fahrenheit and their generator stopped working 8pm on a Sunday night. I went to see if I could help and the first thing I checked was the propane level. The tank was at 50%!!! Definitely not the level you want to start at during a power outage. I don’t know if they are on automatic delivery or manual call but they clearly aren’t starting prepared. Back to the heart of the matter, my neighbors did not run out of fuel the generator stopped working at 8pm on a Sunday night that was -6 degrees below zero on a weekend the state was crippled by a massive ice storm. Fortunately for a hefty sum of money they were able to get a generator repair person to the house and get them running. That’s a pretty scary scenario because what if the generator could not be repaired? They had no alternative preparations to protect themselves and their homes from freezing. They do have a propane fireplace in the family room in the basement and that would have done nothing to prevent frozen and broken pipes like our other neighbors experienced. My point, Don’t rely 100% on a generator, instead have multiple self contained backup heat sources. Like most folks we aren’t made of money so my power outage strategy is far from complete based on lack of funds. As time passes and funds become available I will continue to improve my ability to handle power outages. Outlined below are some of the items that are definite plans while others are ideas I’m contemplating. Transfer Switch: At this time I am manually wiring my generator directly to my boiler during a power outage. It’s not difficult but it takes about half an hour and requires I run a heavy duty extension cord from the generator outside through the side of the garage overhead door and into the house through another door. Aside from inconvenient it also permits a small amount of cold air to get in the house. A transfer switch allows a generator to be plugged in the houses electrical system in a manner that feeds the whole house. It also isolates the generator from the electric company supply. This means if the power returns while the generator is plugged in and running the generator provided electricity will be switched off. 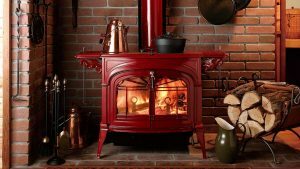 Wood Stove: In 2019 I will purchase a high quality catalytic wood stove. The catalytic stoves are the cleanest burning and the most efficient. Most are thermostatically controlled and feature low burn times as long as 30 hours. Currently, in order, my top choices for best wood stove are Blaze King Ashford 30, Woodstock Soapstone Company Progress Hybrid Wood Stove, Vermont Castings Defiance Flex Burn, Hearthstone Manchester, Regency Hampton H300, In an absolute worst case scenario where the generator malfunctions or fuel replenishment becomes impossible a premium efficiency wood stove can keep the house warm, pipes from freezing and provide a cooking source. The wood stoves I listed are the best in class. TV Antennae: With cable tv out a tv antenna can allow me to watch tv to eliminate boredom and keep updated on local news and weather. In the past I have tried using those indoor flat square antennas and they all worked poorly. This time I will be going with an attic mount antenna. The GE Pro Attic Mount HD Antenna and the Winegard Platinum Series HD7694P Long Range TV Antenna both get rave reviews on Amazon so those are the models I’m considering. Generator Enclosure: The rear deck of my home has a section that was converted to living space and underneath that area is great place for warm weather power outages. In the summer I can simply run a power cord from the generator through a window. No so for a winter power outage. My plan is to install the transfer switch under the deck and build an enclosure that can safely store the generator as well as protect it from the elements while operating. Whole House Standby Generator: A whole house standby generator is a generator that is permanently hard wired into the homes electrical system. A standby generator automatically starts up and runs when there is a power outage and it automatically turns off when power is restored. Standby generators are pretty expensive, around here a 10kw-12kw generator is about $10,000 installed.